Timeframe for my Logbook Loan to payout? How Long Will I Need To Wait For My Logbook Loan? When loans are easier than ever to take out, our need to have funds transferred to us as quickly as possible is a big factor on what type of loan we opt for. It's not encouraging having to go through an entire application process only to be told that the money could take a week or more to be available. Micro loans that offer us almost instant cash are on the increase in the UK and logbook loans are spearheading that popularity. One of the reasons they are so popular is that, as well as the application process being fast and easy, once approved, the funds can be available just as fast. With this in mind, it's easy to see why logbook loans are increasingly popular as people are looking to release the equity within their car. With more and more people looking at a logbook loan as a quick and safe way to cover an impending financial need, how long do these funds realistically take to be paid? If you've already looked into various micro loan options and decided that a logbook loan is the most appropriate option for you, your next question will probably be 'how quickly can I have the money?'. At Car Cash Point, we like to say typically, within the hour. While some standard loans rely on a lengthy application process followed by even lengthier decision times, our logbook loans are considerably faster than this. 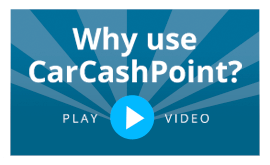 At Car Cash Point, we have a simple and easy 3-step process to ensuring your application is done as quickly and pain-free as possible. By applying online, all we need are just a few details. Fill in the form telling us your name, car registration number and the amount you need, and we'll call you back within minutes to start your application. We'll then ask you a few questions ensuring that you're the registered owner and if the car is free from any existing finance. We'll be able to tell you instantly if you've been approved for one of our logbook loans. Because the loan amount is secured against your car, we don't need to carry out any formal credit checks. So even if you've been refused credit elsewhere, we should be able to help you. Once your application is complete, we'll arrange for one of our specialist representatives to visit you. You'll be able to complete and sign the paperwork and they will check the vehicle over. We'll then release the funds and transfer them to your bank account. This is usually the same day, but typically within just ONE hour. So, if a swift cash injection is what you need, Car Cash Point can certainly help you. Being the cheapest and best value logbook loan provider in the UK, our prices will never be beaten. In fact, we're so confident, that if you find a lower rate elsewhere, we'll beat that price by a guaranteed 10%. Call Car Cash Point today on 0333 220 4419 to get your loan of up to £100,000 in just 60 minutes.